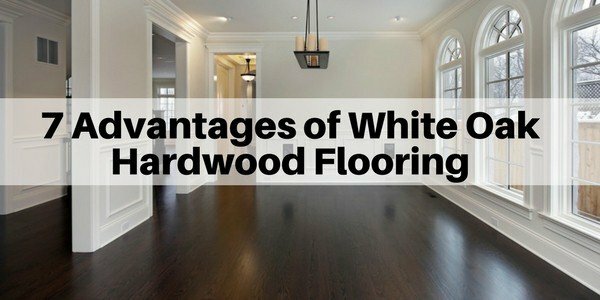 What are the benefits of White Oak hardwood? White oak flooring has been rapidly growing in popularity and seems to be outpacing red oak hardwood in terms of growth. Why is that? What is driving the stronger preference towards white oak and what are the key benefits of white oak vs red oak? 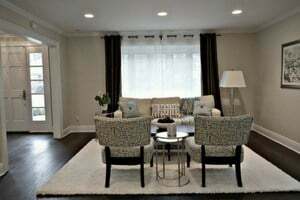 In this article, I’m going to share the top 7 advantages of white oak hardwood floors and why the demand for white oak is so high. Note: This article may contain affiliate links. You can see my full disclosure at the bottom of the page. Yes, there are 2 main species of oak floors – white oak and red oak – and yes, they are different. You can read more about the differences between white and red oak flooring here. Both red and white oak are great choices, but if I personally had to choose one over the other, I’d go for white oak (and you’ll see why below). 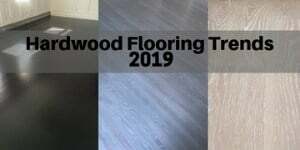 In general, if you already have oak flooring in your home, I’d recommend that you stick with the same species and grade, so that you have the option of making the floors look consistent and uniform in color and graining. But, if you are starting with a blank slate, or if you are adding oak to another floor, the world is your oyster. 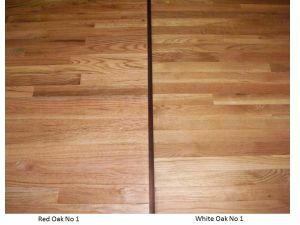 Most people are surprised to learn that white oak is actually darker then red oak. 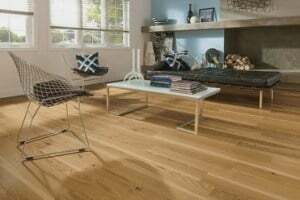 White oak is slightly darker, browner and more yellow; red oak is slightly lighter and has pink undertones. White oak has a smoother grain then red oak. Note: the above wood looks a bit lighter in real life (due to lighting while I took the pictures). This is comparing No 1 Common, and Select Grade would be a bit lighter in both species. Red oak trees are more abundant than white oak trees in North America (I believe it’s around a 3:1 ratio). Red oak trees tend to grow a bit taller and wider as well, so there is just more of it around, especially in wider sizes (this is one of the reasons you see red oak used more often for stair treads…it’s just easier to find large select grade pieces for wider widths. 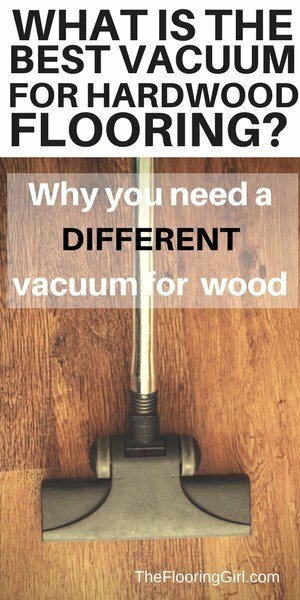 When it comes to smaller strips of oak (e.g. 2 1/4″), the price difference between red and white oak is insignificant and fluctuates on weekly or monthly basis. But, for wider planks (e.g 4″ and wider), you will generally find that white oak cost more than red oak, especially the wider you go. This is a matter of supply and the demand, and the demand for these white oak planks has been growing rapidly. White oak has less graining than red oak so it looks more modern and less traditional. This is because the growth rings are closer together, so the graining is smoother and has a more uniform flow. White oak tends to have more mineral streaks, so it’s a bit more linear in it’s pattern again leading to more up to date style. Please also note that while white oak is slightly harder than red oak, red oak is “hard enough” and both are great options. White oak is a closed grain wood and many of the pores are plugged with tyloses which makes it more resistant to water and decay. This is why this species is used more often in boat building and as well as front door jambs/saddles as these areas are more exposed to water and nature’s elements. Because white oak is more impervious to water, it’s an excellent choice for kitchens, powder rooms and entry areas which are more exposed to water and moisture. Please note that while white oak is more resilient to water penetration then red oak, it is by no means waterproof. 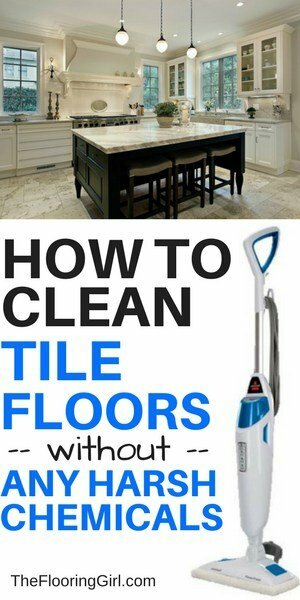 You will still want to wipe up spills right away and makes sure you have a strong finish on your floors. 4. White oak hardwood is better for gray, white and dark stain colors. You just have more shade options. 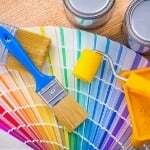 Gray, as well as white wash stains have become and more and more popular. And, these stain colors come out significantly better on white oak than on red oak. Red oak has reddish/pinkish undertones, so when you do a light gray or white wash, it often doesn’t look right as the wood comes out pinkish. Also the gray looks better on the more subtle graining in white oak. 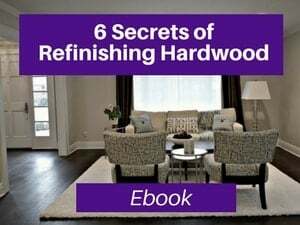 See more about how to refinish hardwood to make it gray in this article (as well as potential solutions/extra steps to take if you have red oak. Also, the most popular stain colors right now are dark. Many are looking to go darker and darker as it’s more stylish and modern And, with white oak flooring, the wood starts out a bit darker than red oak and hence you can also get an even darker look on white oak than you can on red oak. Please note that you can easily go lighter on white oak, if that’s what you prefer. But white oak gives you a wider range of shade possibilities. Nowadays, reddish tones are a somewhat dated and polarizing. Red oak has underlying pinkish tones while white oak is more neutral. If you’re looking to drown out the red, you’ll have to go darker on red oak to achieve this look. Again, if you want to mix in red, you can, but like above, white oak just gives you a cleaner palette to start, so you have a broader range of color choices. In addition, because red oak has more graining (and it’s a bit softer and more porous), the grain on red oak absorbs the stain more…so you notice the graining more). With white oak, the graining is smoother and the stain comes out a bit more even between the grained and non-grained parts, so the color is a bit more consistent. Oak is a very abundant and reasonably priced wood. Both white and red oak are practical and durable (and hide scratches better than most hardwoods). When you are looking at narrow strips and widths (2 1/4″ or 3 1/4″), the prices between red and white oak are insignificant. You may find on some brands or on some weeks that they are priced the same, on other weeks white oak is less expensive and other weeks white oak is more expensive. It’s a commodity product that fluctuates in price based on supply and demand, and even fluctuates throughout the year. While wider planks of white oak wood (e.g. 4″ and wider) generally cost more than red oak wood, it’s important to note that both species are generally lower priced than most other species of hardwood flooring. Like red oak, white oak is very easy to sand, stain and refinish (assuming you hire a professional). White oak is a tad more challenging to refinish as it’s slightly harder, but this difference is insignificant to a professional refinisher. 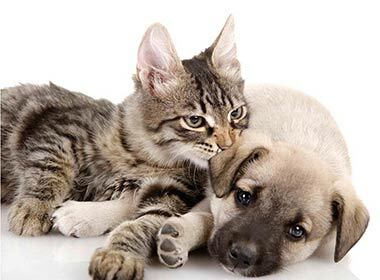 The staining process is the same for both species. And, as I mentioned above, because white oak doesn’t have the pink undertone as red oak does, it provides more flexibility on stain colors/blends. You can go from very dark to very light or anywhere in between. One of the other trends is to go for a rustic look. Some people love this and some people hate this style. But, if you’re trying to go for a more farmhouse or distressed look, the character grade wide plank wood just looks better on white oak. It just looks more natural. White oak has a blander and more neutral palette, and less graining, so your eye focuses more on the knotting and other natural imperfections of the wood (rather than the graining) and it’s easier to get a browner and less red look. White oak is a magnificent wood, and it provides a lot of advantages in terms of durability, higher resilience to water and more flexibility on stain colors than red oak does. Many customers don’t even realize they have a choice between red oak and white oak floors and just buy what’s available or what they see. My hope is there you become an educated hardwood customer, so you can make the best choice for you and your home. 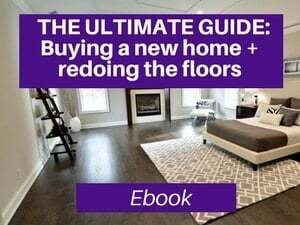 Red Oak vs white oak flooring – what are the differences? 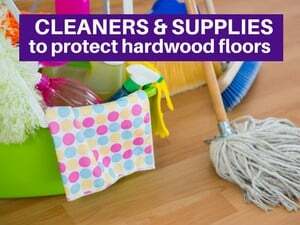 How to protect your new hardwood floors from scratches? 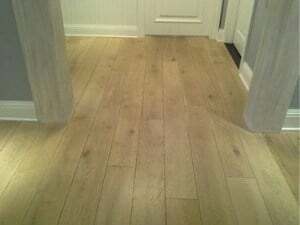 Wow, Debbie, when I first looked at your two photos of red oak and white oak, I thought, hey, they look identical. But after reading your description detailing the variances, I could begin to see the difference! Yes, I, too, think white oak is prettier! Elizabeth – Yes, if prefer white oak too. The differences in color and graining are a bit more obvious in real life than the photos. At some point, I’ll need to take some better ones. It is more than a relief to found a good source of information about oak beams. 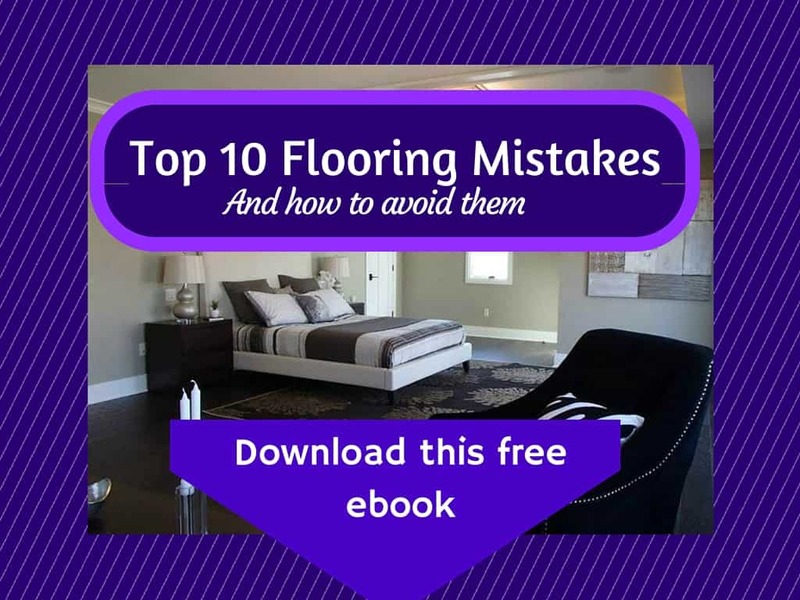 With your blog post, I am rather extremely grateful to get the chance of having a deeper understanding of oak flooring and even got tips about the advantages of white oak flooring. Aside from that, I appreciated the pictures too! 🙂 I find it quite informative and would love to read more of your blog. 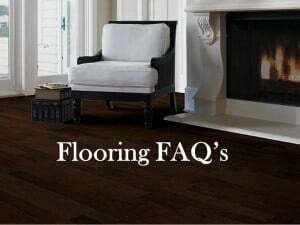 By the way, is there a specific brand you can recommend for white oak flooring? Thank you very much. Marta – Thank you so much. I really appreciate it. Regarding brands, we usually use unfinished wood here in my area. Many prefinished manufacturers sell much more red oak (it’s probably cheaper/easier for them). Regarding brands, it really just depends on what you like/which style. 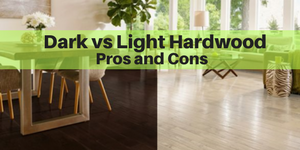 In terms of what’s best for those with allergies, I’d say solid hardwood flooring or cork flooring. But, these are not waterproof. I don’t know what room(s) you’re looking at, so it’s harder for me to advise, nor do I know your sub-floor. I don’t know if waterproof is important to your situation. I don’t know if you have a plywood subfloor to nail into. Cork should be fine for allergies, but to many the look is less attractive. But, if you like it, go for it. 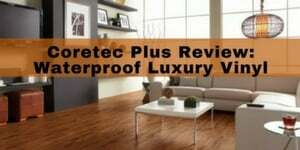 If you’re planning to sell soon, recognize that hardwood flooring is better for resale value (vs any option) and coretec plus is more appealing to most buyers than cork. But, I don’t know if this is important to you/how long you plan on living there. And, of course, to me health takes precedence over all else, even if it costs more, impacts selling value. I know not everyone will agree with me on this, especially if they are financially constrained, but that is just my opinion. Also, you can call the company and/or consult your doctor on this, but my gut tells me that this flooring should not be much of an issue for people with allergies. But, I’m not a doctor nor scientific lab person who has done testing. BUT, if you do want to use Coretec Plus, and if you are super concerned, then open the boxes in the garage or something and let them air out for 2 days. Then, bring them inside to the area to install. If you live in a cold are like I do and it’s winter…or summer for that matter, let them sit in your house for at least 24 hrs (48 hrs is better) to let it adjust to the temperature of your home before installing. Oh, and Marmoleum is also a fine option, from an allergy perspective. 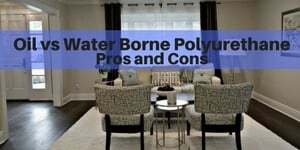 Just be sure they use the proper adhesive that goes with linoleum, rather than the typical vinyl adhesive. 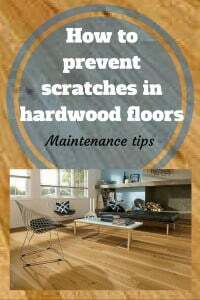 (another reason why solid hardwood is better). 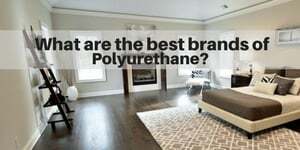 Marmoleum is not as attractive, and also isn’t good for resale value. And, it doesn’t have the cushioning/give that coretec plus does. Kathy – Thanks for your kind words. But, I’m sorry that you need to replace your floors. Maybe you can just do a darker stain to camouflage it. What are the stain colors in style nowadays for white oak? Leo – 1. Very dark colors (e.g ebony, ebony/dark walnut, dark walnut, antique brown, and some mix ebony with true black for darker look)…in other words dark and brown (no red undertones).